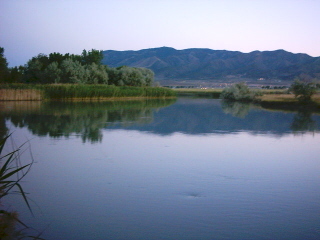 The Jordan River Parkway Trail is one of Utah's 'Urban Fisheries'. The Jordan River flows north from Utah Lake into the Great Salt Lake. It passes through much of both Utah and Salt Lake Counties, and is often an overlooked close to home fishery. There are access points at several locations along its length, especially at major road crossings. Flows vary based on the amount of water being released from Utah Lake for irrigation in Salt Lake County.